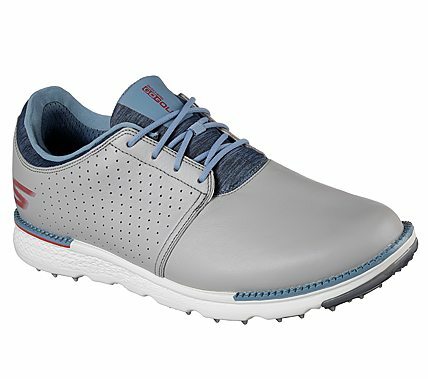 Skechers GO GOLF Elite V.3™ - Approach LT-RF can be described in three words: Comfort, Comfort, Comfort. This waterproof shoe features an all-new spikeless-designed traction outsole for stability on the green. Keeps you stable and comfortable, so you can focus on your game. Relaxed Fit® design for added roomy comfort.